Sure, we’re giving up everything we’re supposed to be working for, in favor of working for everything we want. That doesn’t mean there aren’t hurdles. Here’s where I’ll collect and present the posts that address how we are accomplishing our goals. 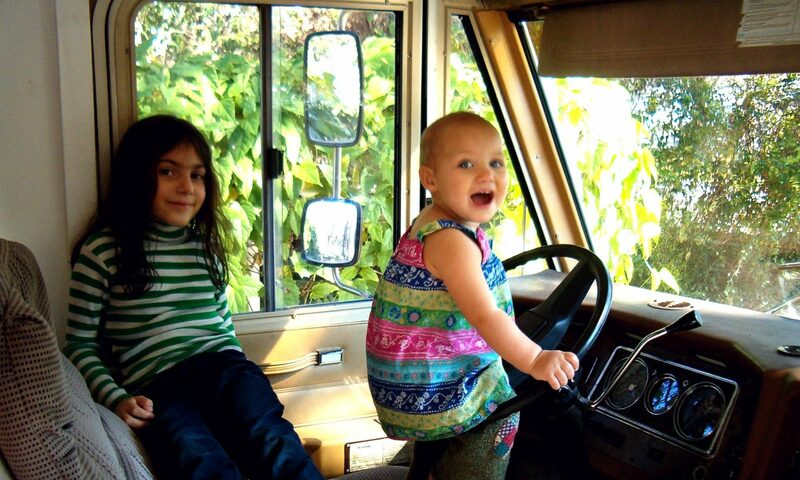 Benny the Brave: Our new home is a 22ft 1982 Winnebago Brave with hardwood floors and waste vegetable oil for fuel. Transition: Moving from house, to home in the RV. Moving from what they expect, to the unexpected. Adjusting our own ways of thinking while dealing with yours, and theirs and everybody else’s. Parenting on the Road: Let’s just say it will be an adventure as we change to accommodate life on the road with a six year old, one year old, and newborn baby! Working on the Road: And we intend to make a living while we do it. Living on the Road: the logistics of fulltiming.